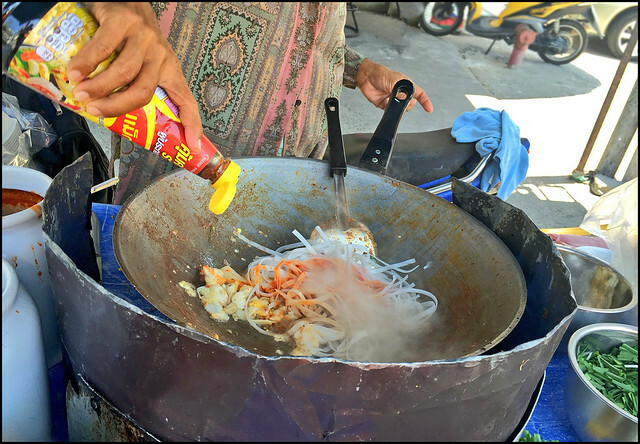 Phad Thai is known as the "Thai National Dish" although let's be fair, it was declared as such by a military government in the 1930's .. based on commonly found fried noodles (Chinese style) but with that bit of Thai taste mixing sweet, sour, spicy together. Exact ingredients can vary and the taste can be anything from bland to spicy to a-bit-too-sweet. 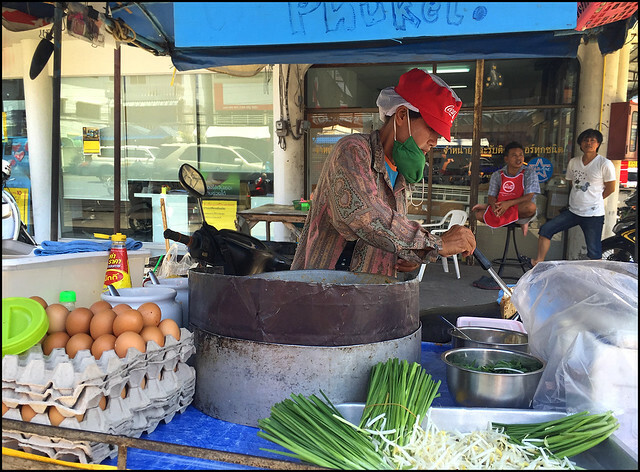 Every place you eat Phad Thai, it'll be slightly different. Sometimes I find Phad Thai by the street near my workplace (Sunrise Divers in Karon) - a big plate for 50 Baht, choose it with chicken or prawns, or I guess you could have it vegetarian. The stall that parks by the street is a kitchen on wheels - a sidecar kitchen attached to a moped. That'll be a sidecar with a gas burner, gas bottle, a nice big wok, space to store all the ingredients (noodles, prawns, chicken, eggs, various sauces, beansprouts) and I have a feeling it would be not quite legal to drive back in my home country (England) .. which is one of 1000 reasons why I prefer living in Thailand. 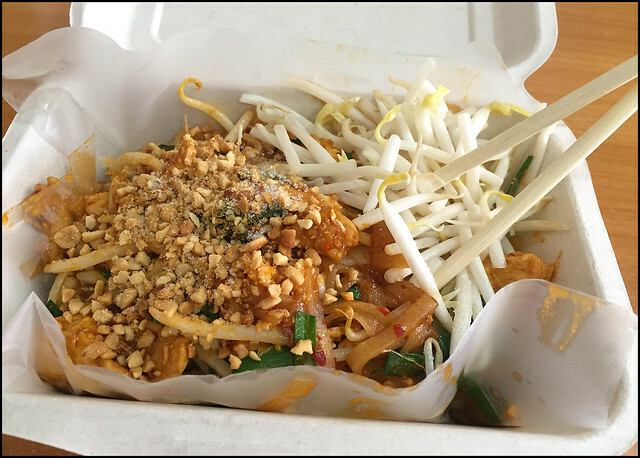 (above) Phad Thai, ready to eat!